TCU will celebrate the creation of the School of Interdisciplinary Studies and give students a glimpse at its integrated study programs. Created in the summer of 2018, the school allows students to integrate multiple perspectives by offering a diverse range of classes within two or more academic departments. 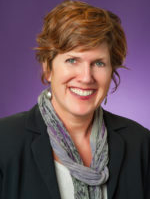 Dr. Karen Steele is the associate vice provost and co-chair of the DEI committee. Photo courtesy of AddRan College of Liberal Arts. “Often times students, faculty and staff have great ideas but don’t have anywhere to express their ambitions, so we’re really looking for that input at the launch,” said the Dean of the School of Interdisciplinary Studies, Karen Steele. Students with a degree program in interdisciplinary studies will work intensively with an advisor and faculty member to help shape their coursework, which will be tailored to their interests and intended career path. Majors within the the School of Interdisciplinary Studies range from comparative race and ethnic studies, women and gender studies, African-American studies, African studies and interdisciplinary inquiry. Interdisciplinary inquiry will help students who may feel boxed in within the academic disciplines of their major and help students to create their own unique courses of study. Students with a declared major can come to the event to learn more about FrogFolio and IdeaFactory. IdeaFactory, which falls under the College of Science and Engineering, supports students’ entrepreneurial efforts while FrogFolio is an online portfolio dedicated to showcase students’ work. “FrogFolio is a digital reflection about the learning that is happening all over campus. Frogfolio fits with the mission of interdisciplinary studies because it helps students make connections between their learning experiences,” said Dr. Daniel Terry, director of Undergraduate Academic Initiatives. The public launch will be held at 4 p.m. Thursday in the Rees-Jones Hall Atrium.